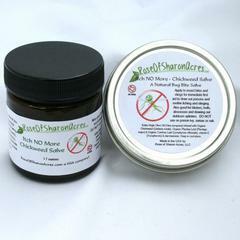 This chemical free salve was formulated for tender, irritated baby bottoms - the combination of herbs bring soothing relief to the pain of diaper rash. 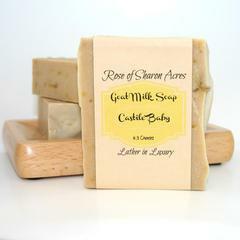 It also will help those mature bottoms in need of a soothing touch for adult rashes or hemorrhoids. Since skin absorbs everything and delivers it to the bloodstream, our salves purpose is to give mothers and caregivers a natural, healthy option for rash care. Ingredients: Extra Virgin Olive Oil infused with Calendula, St. John's Wort, Comfrey leaf, comfrey root, plantain, raw beeswax and vitamin E.
Calendula: helps to sooth inflamed tissues, reduces pain and aids in quick healing of cuts and abrasions. Comfrey leaf and root: Helps to heal wounds quickly. Comfrey has a soothing effect on any organ it comes in contact with. Used for burns, blisters, rashes and inflammations. Used to be used to set bones - amazing healing power! St. John's Wort - Excellent herb for the treatment of fungal infections, burns, wounds, sores, insect bites, eczema and itching. Plantain - Astringent, antiseptic and emollient. Plantain helps to relive pain and is a wonderful remedy for cuts and skin infections.